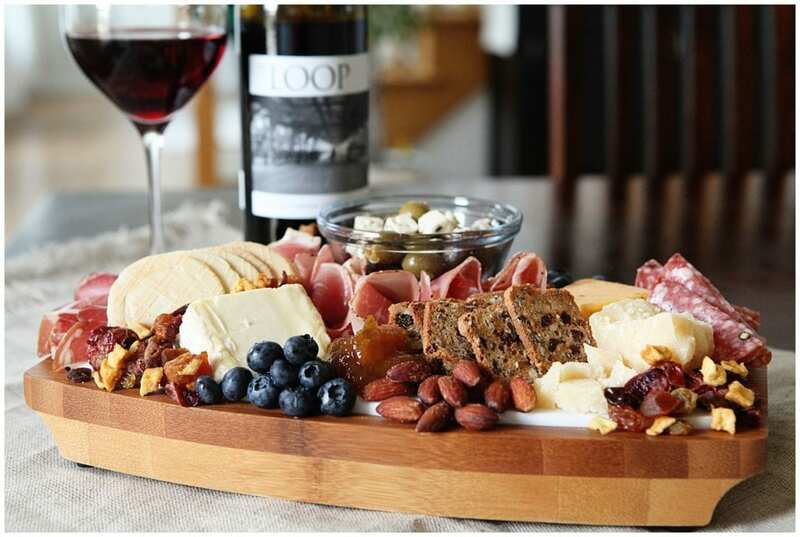 If you search, “How to make a cheeseboard,” or, “How to make a charcuterie board,” online, you’re likely to find hundreds of different tips on how to turn meat and cheese into a beautiful, almost-magical platter that can be served as an appetizer or even dinner. If you feel overwhelmed when creating one of these, don’t worry, I’m here to assure you that you can’t mess this up. 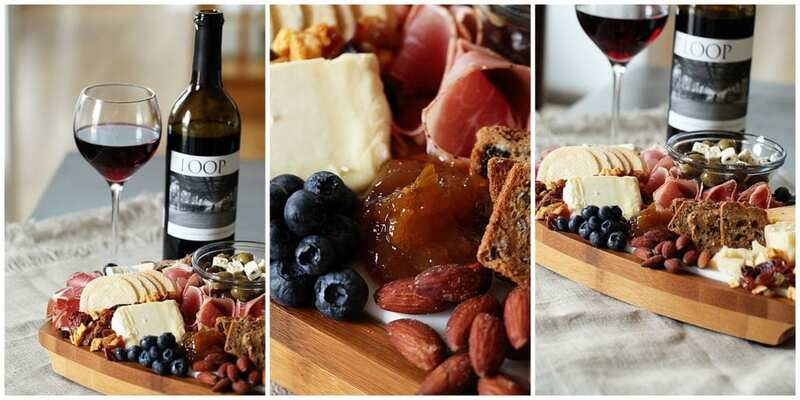 With a few simple tips you can make a beautiful board that will serve a variety of taste buds and pair with wine, beer or whatever the drink of choice is for the evening. You’ll be able to serve them for a crowd, an evening for two or even a family dinner on a weeknight when you don’t even feel like cooking. Here are some basic rules I follow when I make one. 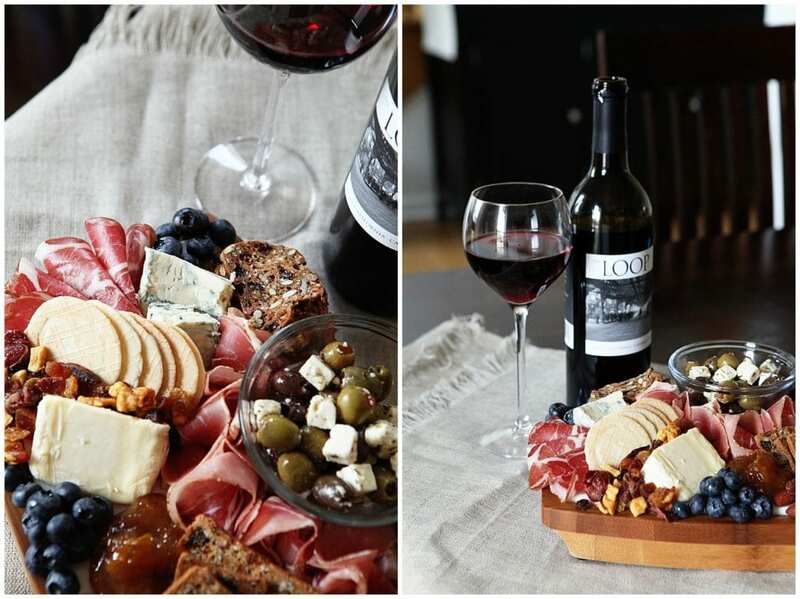 When I think about making a charcuterie and cheese board, I like to compare it to painting. To create a picture, you need different colors and the same is true of your board. Think of your cheese as the paints. I always like to get a variety of cheeses – white, yellow, blue, etc. so I have different colors on the plate to work with. However, don’t just think about the colors. These paints have shape too. Cut some in triangles and squares. Some come in a round form or as a long and you can play with half-moons and height on the plate too. When picking meats for the plate, you won’t have too many color options. However, you still want to consider the way each meat will fold or not fold so you can begin to visualize how much room you will need for each. Other than that, just get what you like! When I begin to build the board, I like to use one thing as an anchor or the focal point.Like the vanishing point in a drawing or painting, an anchor will give me something to build the plate around and a place to start. All roads sort of lead back to it. 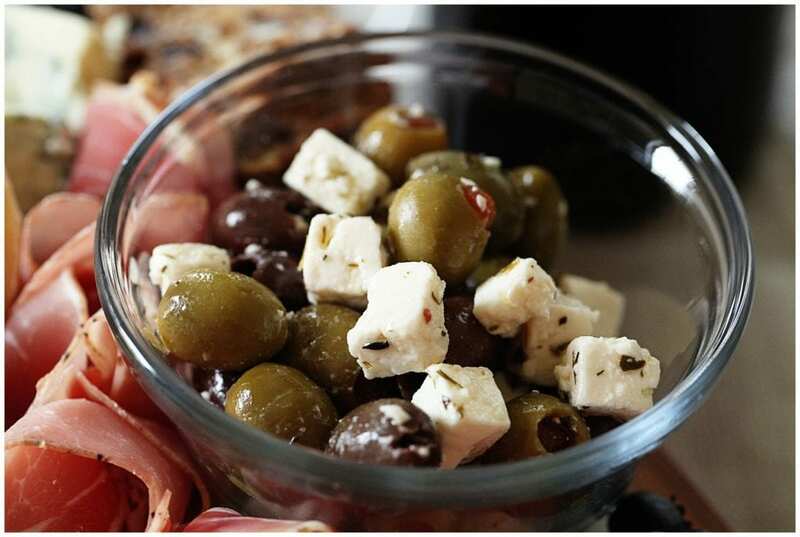 Here I used the small bowl of marinated olives and feta. As you can see my board is small so if you have a large board you can pick multiple anchors and build from there, or just continue with one and have everything sort of flow from it. You don’t always have to have it in the middle either. Try anchoring the board on one side or one corner to make it feel different each time. You already have the cheese and the meat so now it’s time to include something sweet. This can be done by using fresh fruit, dried fruit, jellies, jams, chocolate, etc. On my boards I often use apricot jam because I love the way it tastes with savory and sweeter cheeses. I love how it works with blue cheese and a good brie, which are generally my favorite cheeses. Like the sweet tastes, you want to add in some savory options too. My olives worked for that. You can also use mustards, pesto, garlic spreads and more. Just like an artist would paint texture into the trees or a lake in a landscape, I like to paint it into my board too. I use different textured crackers with different shapes, smooth and hard edges, various heights and more to make the board feel more vibrant. Also, think texture for your mouth too. (AKA mouthfeel) Here I added nuts and banana pieces for crunch, the olives for the smoothness in addition to the soft cheeses and dried fruit for a chewy texture. 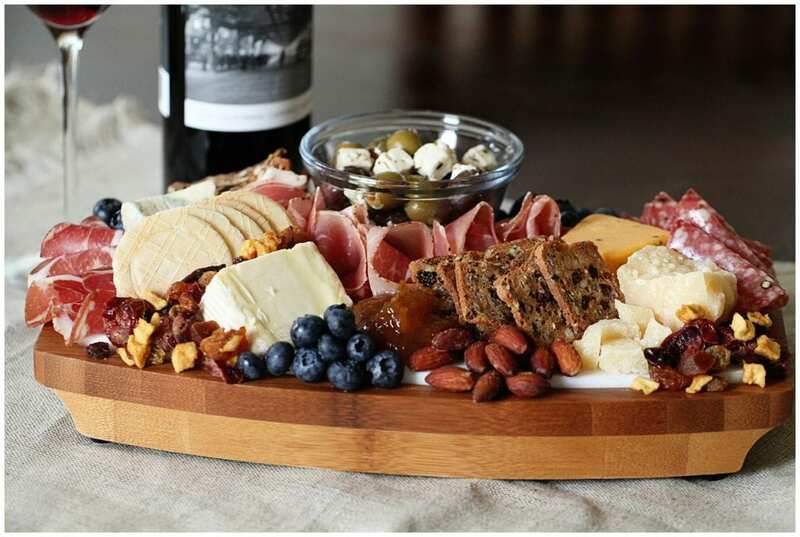 You will find tips to give the meat and cheese space on a charcuterie and cheese board. I throw that out the window. I like to stuff mine full and use every nook and cranny of space for something. Usually you’re making these for multiple people with multiple different tastes and I always like to make sure there is something for everyone. The only white space I like on my board is a nice chunk of cheese. Make sure it’s all fresh! 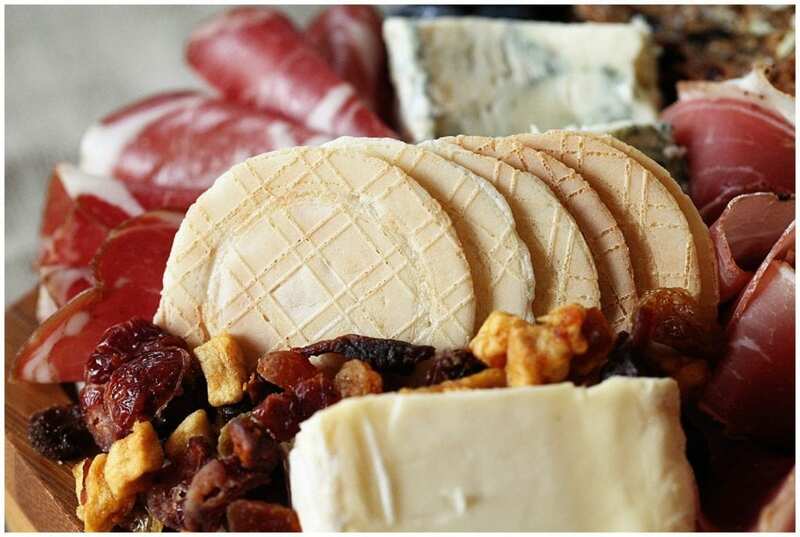 Final and most IMPORTANT tip when creating a charcuterie and cheese board – make sure you’re using the freshest ingredients! Usually I try to shop the day of or the day before when I am making one of these. I tend to make them for dinner or lunch a lot in the fall on a nice, lazy Sunday, which also happens to be the day I go grocery shopping. 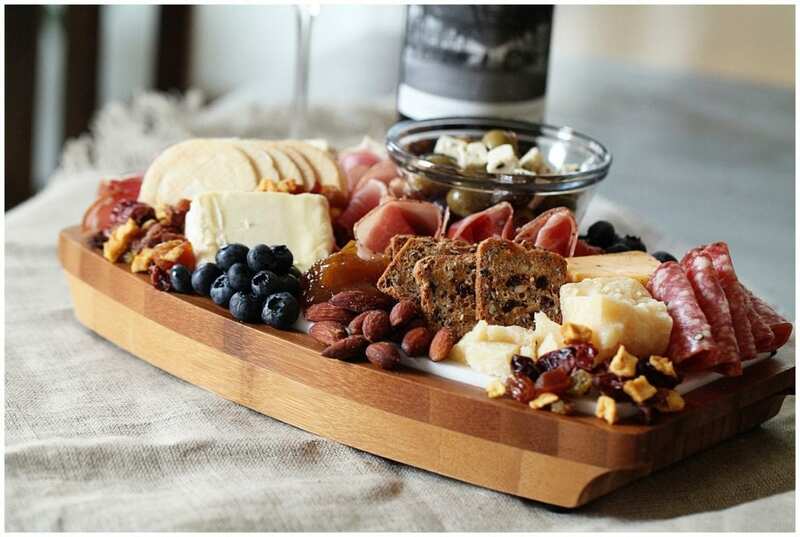 So when you shop, find the freshest ingredients; grab a cheese board, cutting board or even just a plate and start layering it all on there. For more tips for the home, click here. For more recipes, click here. Putting out a cheese board is always popular and very much appreciated. Enjoy all your tips and your cheese board looks great. Get the best and have fun with it. Yes please! I love boards like this. I am all about the cheese. I need to make one some day. This cheese board looks amazing. I have never made one before, but I am going to make one for Thanksgiving this year. Im having some girlfriends over soon so this is really helpful! I have never put one together! 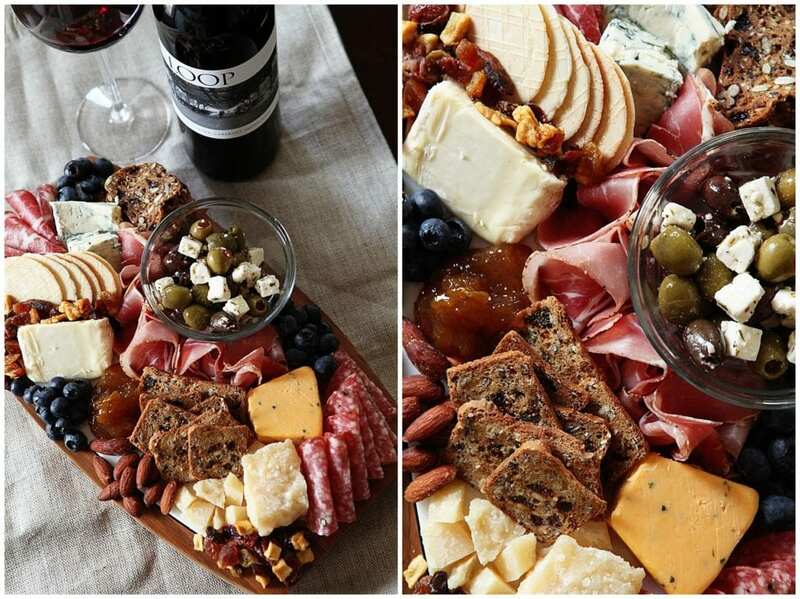 A well put together cheese board does a lot for a party. This is great advice! I’d love to impress some guests. 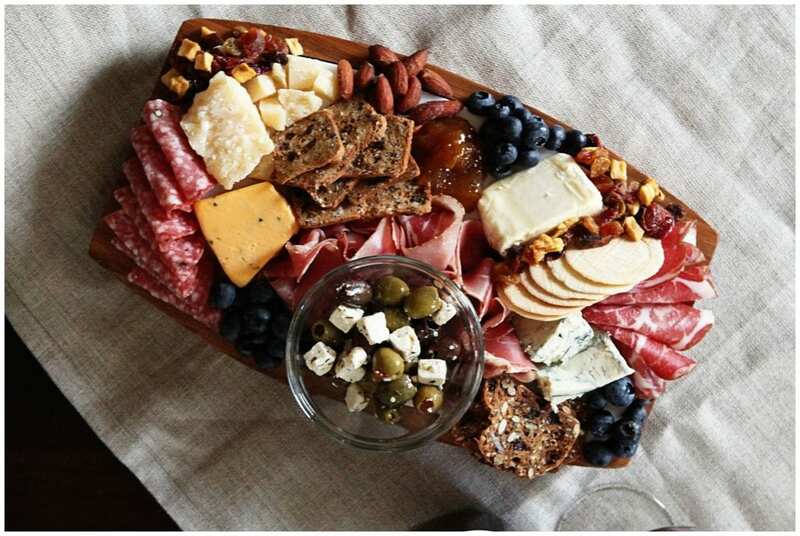 It’s the time of the year where we’re always entertaining family and friends and a charcuterie board is my go to appetizer. I love trying new cheeses and introducing my fam & friends to new flavors. I love cheese boards and charcuterie. 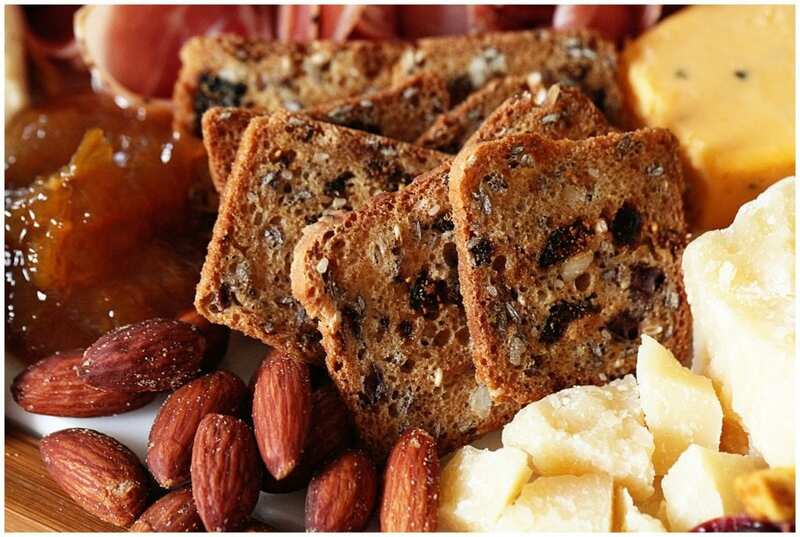 Definitely the best part of an appetizer spread! These tips are a great checklist for making the perfect board! Honestly I love a good cheeseboard I don’t think you can beat them at all! So these are some tips right up my street, now mine can only get better. I love a good cheeseboard/cheeseplate. I could live on the mix of fresh cheese, fruit and nuts. It is my go-to the first night of any nice hotel stay too. It’s even better while traveling for some reason. These are great tips! We made one for thanksgiving and it was…lacking. Reading through this I realize it’s coz we didn’t pack it in. We know better for Christmas! 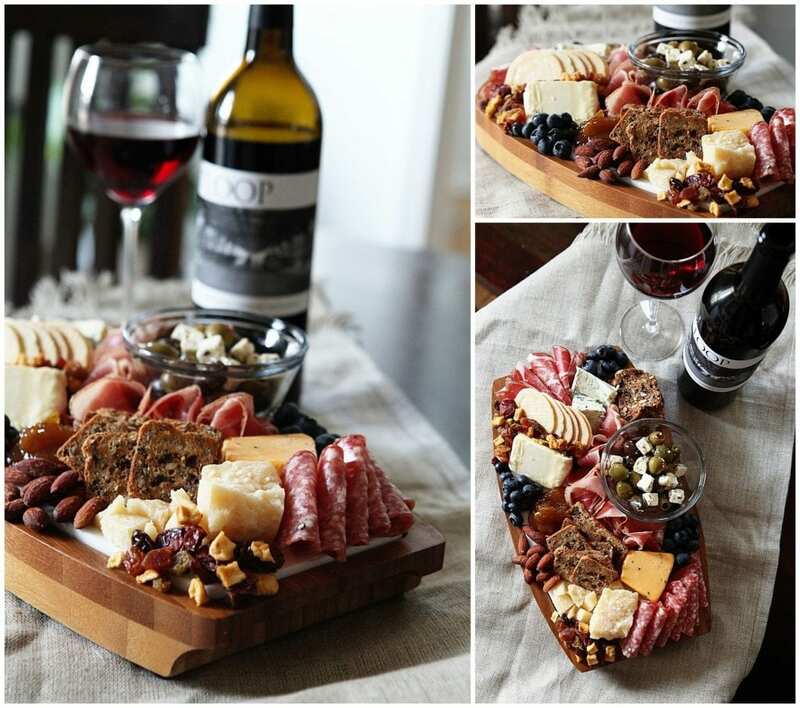 Charcuterie boards make parties so much more classy! Thank you for these tips! Oh, I love a good charcuterie platter! I order them often instead of a meal when I go out to eat. Now I can make my own for parties! 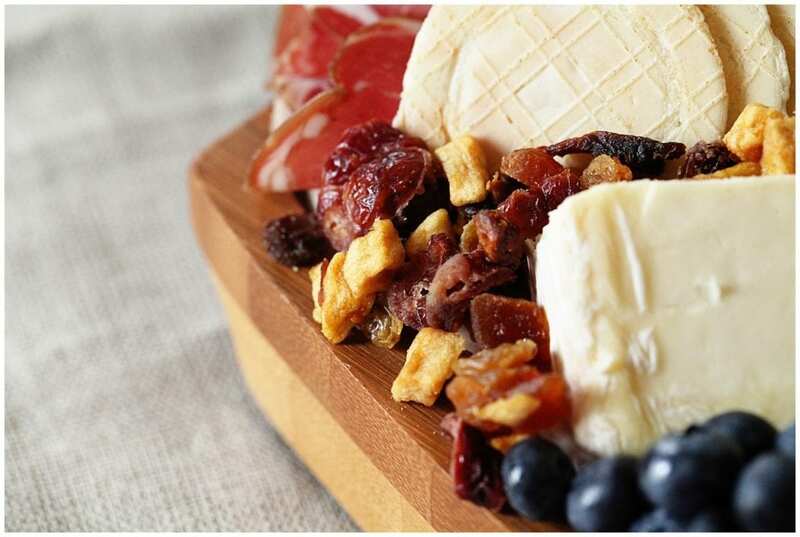 I love serving a cheese and charcuterie board during holiday entertaining. I will definitely consult your tips! This cheese board is so gorgeous! I do not even want to dig in because it is so pretty and a work of art. This is one of my favorite things to put out for Thanksgiving. Tasty but not too filling. Yours is beautiful. That is so much more creative than anything I could come up with. I leave it to the experts and buy it pre-made! Such a gorgeous cheese board and love all of your tips. I think this is the best idea to do on my birthday and I am sure my husband and my kids would love it. This looks amazing and made my cravings go wild. I can’t wait to try out your tips at my next friend gathering. This cheeseboard looks rich and full yummy things! I love your tips and I will make it for our movie night that we organize with our friends! This is just brilliant. We’re having a wine and cheese night on Wednesday with my girlfriends and your post just made me really excited. Can’t wait to add more of the stuff and make a full charcuterie and cheese board instead. Thank you for the inspiration. Oh that is one beautiful board!!!! I love making things like this for holidays and parties! I really love the concept of a Cheeseboard and Charcuterie. The assorted items that cater to different palates are really fascinating. You have given some great tips that will be invaluable to make a nice Charcuterie in the festival season. I love this idea. Having a good cheese board is a must for every party! Everyone loves them. What an absolutely beautiful board! These are one of my favorite options for appetizers — so many great things to nibble on! Thanks for all the tips! I have never made a cheese board yet ever and maybe this is the perfect time? I can try this out and surprise my hubby serving this. Haha! Let’s see how will it be. Looks great! Can we dig in now! So many great pairings and potions, plus it just looks fabulous. 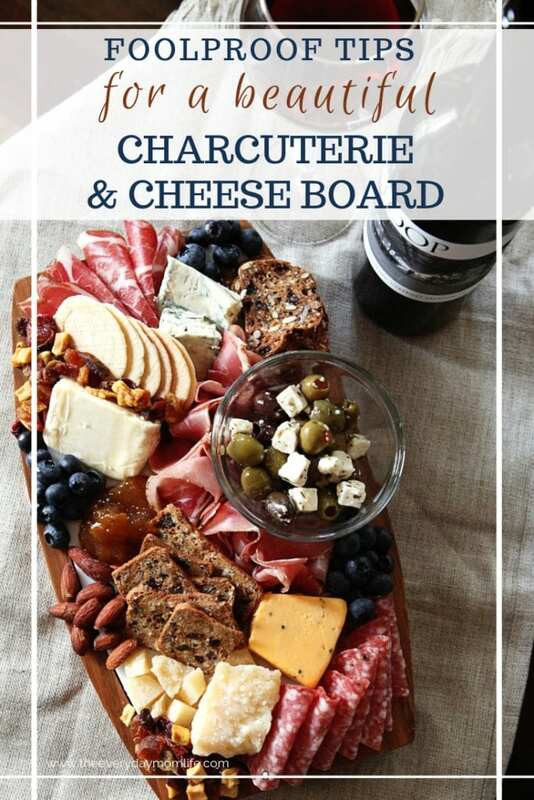 I love these tips~ I am making a charcuterie board next month and I will be using these tips for sure! This looks gorgeous! So perfect for the upcoming holiday season. I agree that it’s better to stuff a charcuterie board with food. Load it up! That is a brilliant layout. I love nice layouts like this in stores and at parties. That’s a beautiful cheese board! I love everything you put on it, perfect for any parties or brunch! This looks so simple and yet so elegant. I’m going to try to make one. This is the best thing to have when you have a small party at home. It would also be perfect for a movie night at home with the hubby. Thanks for you tips. I will try and recreate one just like yours. I love a good charcuterie and cheese board and of course, a good bottle of wine to go with it. I am going to steal your idea and make one for our girls’ night with my sisters and cousins. Your board is absolutely gorgeous!!! And all your tips are spot-on. Perfect timing for the upcoming holiday season and all the entertaining we’ll be doing! I haven’t made one of these before. It looks delicious and great to serve guests. I love cheese and all the accompaniments you added.